Peter grew up in the Southern Highlands and settled in the Blue Mountains in 1998. He studied at the University of NSW and graduated with honours in 1995. He spent 3 years working in Western Australia, during which time he practiced in Perth as well as many remote locations throughout the state. 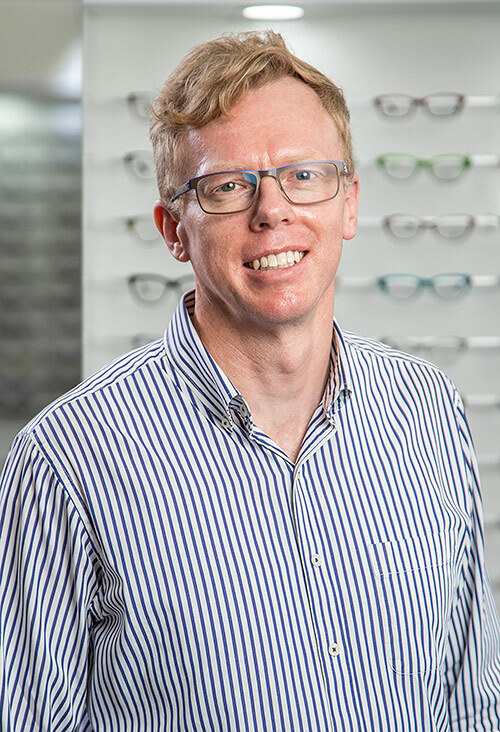 Peter maintains a keen professional interest in evidence-based diagnosis and management of inflammatory eye disease, infection and dry eye, as well as diabetic eye care, contact lenses and glaucoma management. Outside of business hours, Peter is a keen trail runner and competes regularly in events both in the Mountains and beyond. Gavin grew up in the Blue Mountains. He graduated from the University of NSW with honours in 1995 and spent his initial years working in the far north of Western Australia before returning to the Blue Mountains in 1998. 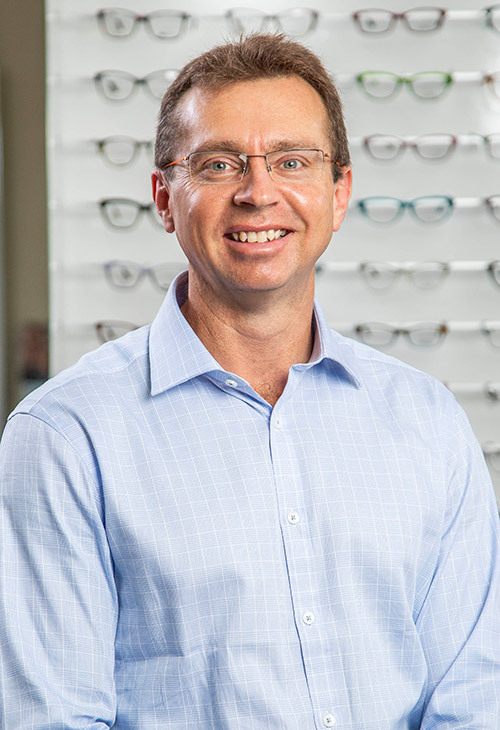 Gavin’s professional interests include evidence-based diagnosis and treatment of inflammatory eye disease, myopia control in children, diabetic eye care, complex contact lens fitting and glaucoma treatment and management. When not working, Gavin is kept busy with his family and being involved with the Hazelbrook Hawks soccer club.